The Flite Test Guinea Pig is the perfect platform to carry out the craziest experiments in the air. While it can carry a hefty payload, which can be dropped out the rear hatch, it can also be set up to carry out extreme aerobatic maneuvers. Use differential thrust to perform amazing 3d maneuvers such as harriers and knife edge. Tone down your controls and the Guinea behaves like a predictable trainer plane and is the perfect first time twin engined plane. NOTE: Please review the build videos before removing any paper backing from the foam! Certain videos show white foam board, which is no longer produced. It has been replaced with water-resistant foam board which is brown in color. Fantastic! What a wonderful model to build and fly. It takes off in a few feet, flies as smooth as silk and is easy to land nice and slow. My model has differential thrust and it's worth the extra effort to do this as it makes for great aerobatics and easy ground handling. Shipping to Australia was quick and it was well packed. 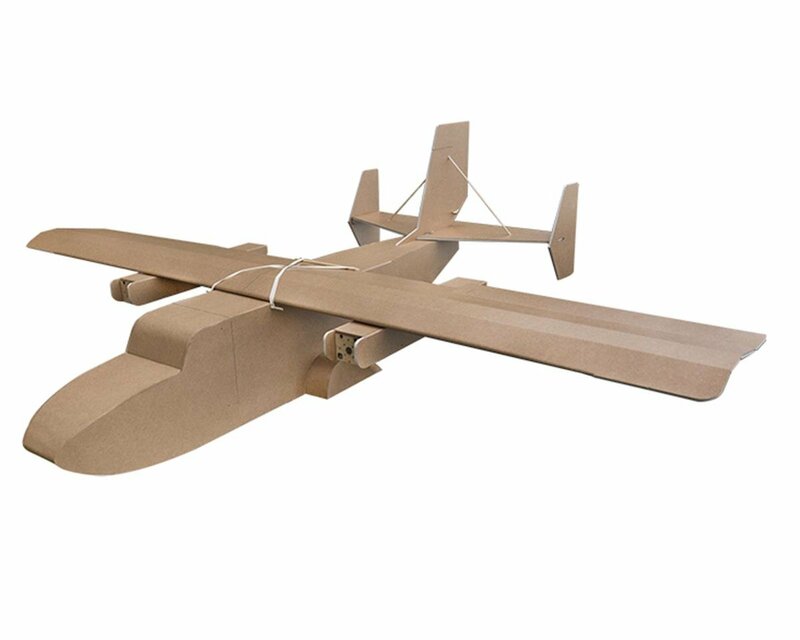 This plane is so much fun, easy to build just takes a lot space and two glue guns. It fly's beautifully just lumbers around but yet it can do a lot of maneuvers. I'm just starting to mess around with hauling cargo I reinforced the cargo door with a paint stick and I use two servos one to open/close the door and one to lock it closed. my linkage has a slide stop action so i can just leave the lock engaged and open the other servo then just throw the switch and the door dumps open, then retract it with the other servo and lock it. I made pods that attach to the door to hold my cargo to be dumped so it's not flopping around inside the plane messing with the CG. So many ideas and so little time ugh! This was my first FT build, and I must say I'm very impressed. The build was simple yet engaging, the online resources are abundant, and it flies like it was born with wings. There are dozens of mods this frame can carry and you're really only limited by your wallet and imagination. It flies with purpose and shakes the wind like it's not even there. Takes offs are short and landings are a dream. Running 2212s and 10x4.7 it'll do almost anything you tell it. Inverted, knife edge, hover, touch-n-go loops, etc... it'll take it all and do it with a load in the bay. Best part about this bird is she flies like the pilot is an expert even when they're not!